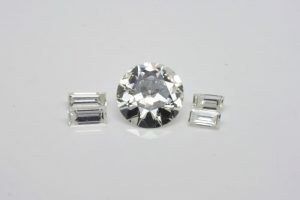 We often get asked whether or not we can supply loose diamonds and gemstones. The short answer is; ‘yes’. We can supply individual stones or collections for what ever purpose you have in mind. Or we can supply stones along with an ingot of your favourite precious metal as one of our ‘Promised Ring’ packs. All of our diamond and diamond alternative suppliers are carefully checked to confirm they observe best practice when it comes to mining, sustainability and safe and ethical work practices. We also prefer those that actively work to reduce their carbon footprint. At this point in time we only offer mined diamonds from the Argyle mine in Western Australia. Sizes, shapes and quality are all subject to local availability. Whilst we’re not big fans of mining in general, we recognise that often our customers prefer the romance associated with diamonds that come out of the ground. In our experience, whilst Argyle diamonds carry a premium price, of the large mining operations they’re the most responsible we’ve encountered when it comes to rights of our indigenous peoples, the traceability of their stones, the avoidance of workforce exploitation (especially in the diamond cutting factories) and the quality of their cuts. We also prefer Australian-originated products when that’s possible because of the reduced carbon miles associated with them. If you’d like to know more about what’s important when choosing a diamond, click here. As we do with the mined diamonds we offer, we’re very selective when it comes to our lab-grown diamonds suppliers. they use renewable energy sources to minimise their greenhouse gas emissions. 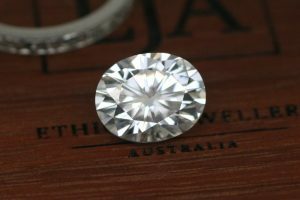 Lab-grown diamonds are typically around two-thirds the price of their mined equivalents and (with careful vetting of suppliers) offer a very socially and environmentally sustainable alternative to mined diamonds. You can read more about lab-grown diamonds here. Vintage round white diamond with vintage baguette cut diamonds. Recycled and post-consumer diamonds are exactly what they sound like. They’ve usually been recovered from unwanted and estate jewellery and, to our minds at least, represent one of the most environmentally responsible options available. Many of our post-consumer diamonds come from vintage jewellery (from the 1920s and 30s) and so are usually old cuts perfect for retro-styled jewellery. Provided you’re prepared to be flexible when it comes to what’s available at the time and what that means for your jewellery design, they can represent excellent value for money. Because we only make high quality, hand made jewellery, we don’t offer diamond simulants (like CZs) of any sort. We do, however, offer moissanite – a commonly used diamond alternative. 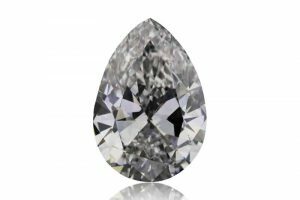 Whilst moissanite does occur naturally, it tends to be grey-ish in form and quite rare. So almost all the moissanite we use in jewellery is laboratory grown by one of the best in the business – Charles & Colvard. You can read more about moissanite here. I highly recommend EJA to anyone looking for a personalised jewellery design. As a customer seeking a unique engagement ring that needed to meet very specific constraints, Melinda went above and beyond to make it happen. The final result was a truly beautiful work of art. This would not have been possible without the communication and personalised service provided by Melinda that allowed me to be involved in the design process and transfer my abstract desires into a concrete design. Thank you again to Melinda and everyone else with EJA for creating the perfect design. For the most part we have ready access to the popular gemstone varieties from Australia and around the world (Fair Trade or lab-grown) … sapphires, garnets, rubies, emeralds, aquamarine, tanzanite, tsavorite, spinel and many others. 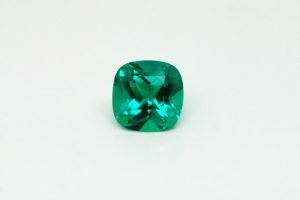 Some, like emeralds, are very difficult to find Fair Trade, but we have many connections around the world and can usually find what our customers want. If you’re looking for ethically-sourced Australian or Fair Trade gemstones, that’s exactly what we can get for you. We’ve been working with most of our suppliers for years and they’re as good as they get. Of course, restricting ourselves to Australian and Fair Trade could limit your options from time to time. But if being an ethical jewellery buyer really is important to you, it’s a small price to pay. To learn more about what to look for when buying ethical gemstones, click here. Lab-grown gemstones are a popular and usually very affordable alternative to many of the very rare natural varieties. Properly sourced, they also offer a very sustainable and socially responsible alternative. 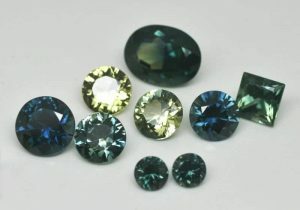 We can supply you with lab-grown sapphires, rubies, emeralds, alexandrite and other types. You can learn more about lab-grown gemstones here. As it is with our post-consumer diamonds, we often source gemstones from estate and unwanted jewellery via a US supplier – Perpetuum Jewels. Perpetuum obtain their donor jewellery through verifiable (legal) sources – often vintage jewellery from the early 1900s. And as it is for diamonds, post-consumer gemstones can often represent excellent value for money if you’re prepared to be flexible and work with what’s available at the time. If you’d like us to help you find the perfect, ethically-sourced diamond or gemstone, feel free to email us (preferred) or give us a call at 07 3369 2596.